The best BBs on the market just got better! 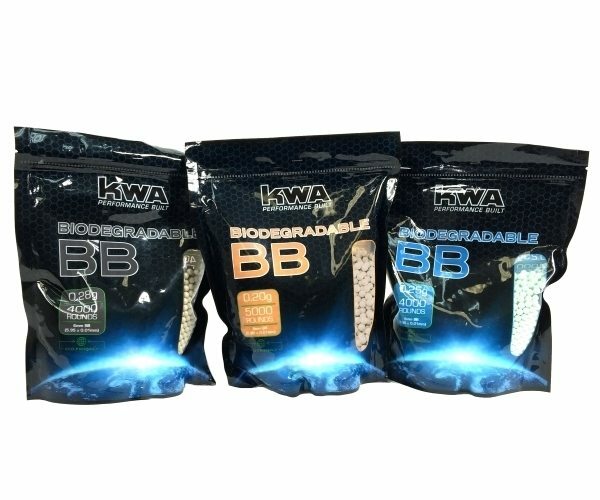 After a long wait, KWA Biodegradable BBs are finally here! Stay eco-friendly and field compliant without sacrificing performance with the all-new KWA biodegradable BBs. The three different available weights come in three distinct colors for easy recognition in your KWA Speedloader, but also come in a resealable bag for storage. Now you can play or train with BBs that provide the same superior performance you’ve come to expect from KWA BBs.